Visit the artist's website to get a version suitable for printing and framing. What do you think of the poster? 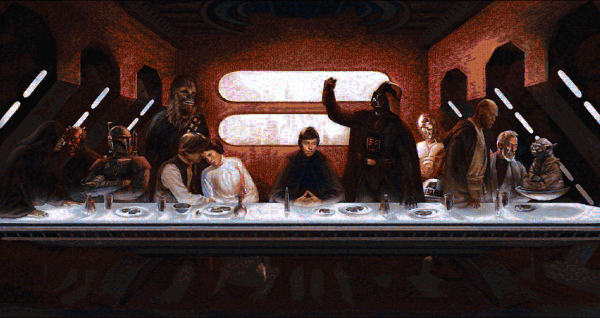 What other classic artwork could be adapted to Star Wars? My first thought was where's Lando? And I think we need to have Ackbar there to yell It's a trap! I think it's funny. Causing a stir? Doesn't offend me. God has a sense of humor after all. it's wrong... if you let it bother you. so many people let this stuff bother them, they did it so it would get a reaction. isn't that what art is suppose to. I LOVE IT! I have a "last supper" Transformers one already (found it from an artist at 2011 Botcon) I would love to add this to my collection - I do feel Lando is missing though. 70k+ stills? Wow. That must have taken a lot of work to put together--it's a really cool image! It's missing the blue milk, yo. http://shibamura-prime.deviantart.com/gallery/?offset=168#/d2su2nz this guy does a LOT of transformer stuff - I love it! Hey there! This is a good read! How I wish I could visit this place someday. You have a very informative and interesting page. Keep writing good stuff like this. I'll be looking forward to visit your page again and for your other posts as well. I had so much fun reading and of course to have additional learnings from you with this blog. Kudos! Thank you so much for sharing with us an information about this one. 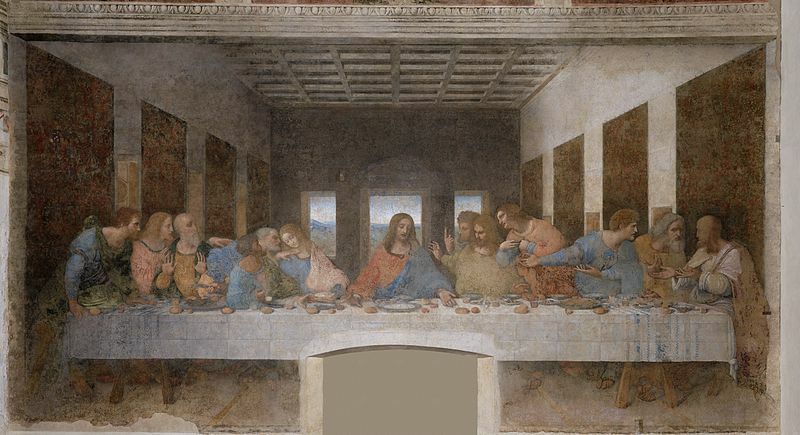 Based on what I have read on a website, the institution of the Lord's Supper is recorded in the three Synoptic Gospels and in Paul's first epistle to the Corinthians. The words of institution differ slightly in each account, reflecting a Marcan tradition (upon which Matthew is based) and a Pauline tradition (upon which Luke is based). In addition, Luke 22:19b-20 is a disputed text, which does not appear in some of the early manuscripts of Luke. Some scholars therefore believe that it is an interpolation, while others have argued that it is original. Check out all of the options to see what you’re interested in and what you absolutely can’t miss!